Sara Arya (master's candidate). Sara's research interests primarily focus on precarious work, gender, immigration, migration, race, and criminalization. Her research explores the detention processes and treatments of migrants from West African nations in Canada. She will critically review the literature exploring the detention of migrants, specifically analyzing the criminalization of migrant detainees, how Canadian detention rates compare to other western nations, and why every year Canada continues to detain more migrants and refugees and release less detainees. Through the literature she will emphasize the point that Canada needs a limit on the length of detentions pending deportations as thousands of migrants are detained indefinitely. Kathryn Barber (doctoral candidate). Kathryn's research interest looks broadly at the intersection of migration and development. She is particularly interested in non-traditional immigrant receiving countries and knowing if the experience of migration positively impacts perceptions of migrants. Jana Borras (master's candidate). Jana's research interests centre on precarious status, commodification of labour, transnationalism and immigration. She is particularly interested in Canada’s Live-in caregiver program, a temporary foreign worker program, that attracted Filipino women health care workers to work in Canada. Jana is interested in how permanent legal status affects the quality of employment and experiences of these women migrant workers. Duygu Gul (doctoral candidate). Duygu holds an MA from Boğaziçi University, Istanbul. Her research interests include memory studies, theories of transnationalism and diaspora, and current debates around citizenship and belonging. She co-edited a Special Issue for Sikh Formations: Religion, Culture, Theory (Vol. 9, Issue 3, 2013), in which she co-authored the essay "Violence, Memory, and the Dynamics of Transnational Youth Formations”. Her book reviews have appeared in Canadian Journal of Sociology, Journal of Contemporary European Studies, Memory Studies, and H-Memory. Her latest article, “Coming to Terms with the Past in Turkey: Rewriting History through a Therapeutic Public Discourse,” has appeared in prestigious Cambridge University Press’s International Journal of Middle East Studies in October 2015 (Vol. 47, No 4). Gulay Kilicaslan (doctoral candidate). Gulay's doctoral research focuses on the impacts of civil war on political mobilization of civilians in Turkey. In this context, her research interests are forced migration, refugee movements, civil war, political violence, social movements and Kurdish political movement. 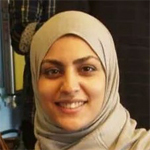 Dina Taha (doctoral candidate). 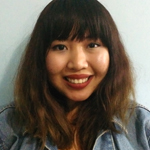 Dina's research interests include Critical Forced Migration and Refugee discourses, Postcolonial Feminism, Gender in the Middle East, victimhood and victimization, Refugee agency and survival strategies. Her dissertation explores Female Syrian Refugees survival mechanisms in Egypt especially through marriage to nationals.